Any questions, comments or just want to get in touch? Then you’re very welcome to contact me below! 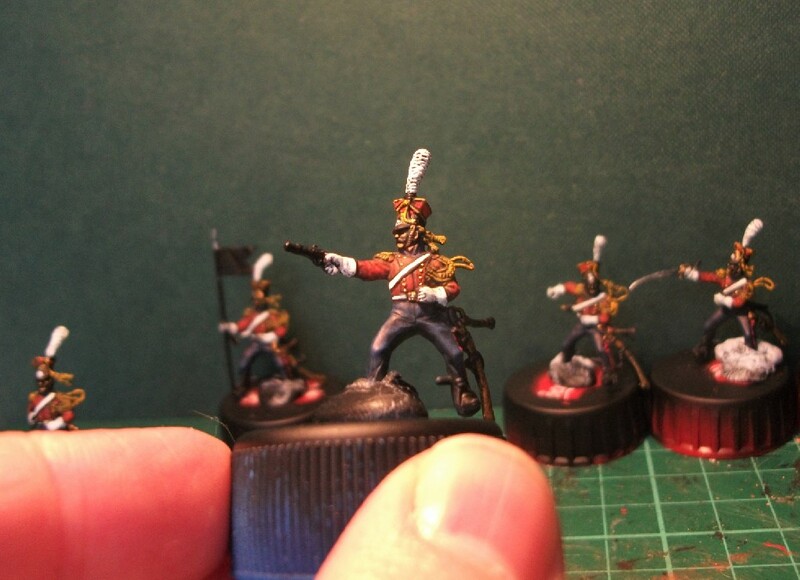 Suburban Militarism is a blog dedicated to the gentle hobby of painting model soldiers. It is not connected in any way with the actual stockpiling of megadeath military-grade armaments from the comfort of one’s own home. It is also a blog dedicated to military history with an emphasis on the 18th and 19th centuries. Having been a member of the Victorian Military Society for decades, that the forces of the British Empire should make an occasional appearance will come as no surprise. It all began in my childhood in the 1970s and 80s. Let me explain: ever since I was a small boy I was fascinated by images of colourful 18th and 19th century uniforms but was often starved of information or indeed access to many models – (this was a pre-internet era!). Time went by and as I entered early middle age, I decided to get back in touch with this passion once more, recording the collecting and painting of model solders whilst using this blog as a record of my activities. I think that there must be many more destructive outlets for a mid-life crisis than model soldier painting. As my appreciation of model soldiers grows, so has my desire for more military history. Suburban Militarism is the outcome. Favourite topics that you’ll find here are Napoleonics (especially cavalry), Victorian yeomanry and volunteers, military museums and their exhibits, WWI and much more besides. More background on the genesis of Suburban Militarism and my love of model soldiers can be found on the inaugural post here. Am painting some Ist leger chevau lanciers my friend is painting the bulk of them I have been converting figures to represent the command. Officer, bugler and guidon bearer. So your figures help with uniform etc. I myself being middle-aged was going down the path, or should I say the pub of self destruction! And like you have pulled out of that dive and re-discovered my love of painting/converting toy soldiers. Best of British to you, I know it can be a slog finishing them, but I find it is an achievement and it keeps me off those wild streets! Glad to hear that you’re getting back to the joy of toy soldiers. It’s a hobby that feeds the soul, I reckon. As time goes by, I seem to be gaining in perseverance and patience with my painting, I also find that the blog helps keep me focused. I wouldn’t pretend to be a uniform expert, but hopefully my figures are broadly correct more often than not?! It would be good to see your lancers when they are completed. Do you have a blog? If not, I can recommend the gallery in Benno’s Figures Forum for sharing images of your work. I’ve found it a friendly and supportive site for model painters of all interests and abilities. Thanks for the interest and good luck with the painting!